In a speech to an overflowing crowd at Vermilion Community College in Ely, Minn., author and filmmaker Bill Carter talked about copper mining and the copper industry around the world. He talked about what he learned in doing research for his book “Boom, Bust, Boom” and his concern for his family and friends in Bisbee, Ariz., and Bristol Bay, Alaska. He concluded, due to the always-present extremely large piles of hazardous waste material generated by copper mining, there are some places where copper mining absolutely should not be done. Bristol Bay in Alaska and the Arrowhead Region of Northeastern Minnesota are two such places. It is too late for Bisbee, Ariz. and numerous other historical copper mining districts as the permanent damage to the land and water has already been done. In this presentation he covers every sales pitch given by past and present copper mining employees, CEOs, and pitchmen, and with historical evidence refutes them all one by one. Bill Carter, at a young age, has seen more of the world than most of us ever will and has experienced more of man’s political folly than most of us would want to see, let alone experience. “Boom, Bust ,Boom” is Bill Carter’s third book. To fully appreciate “Boom, Bust, Boom,” I recommend reading his other two books, “Fools Rush In” and “Red Summer,” in that order, the order in which he wrote them. He is learning and defining himself in each adventure, which he shares through his writings and talks. Because he is obviously caring and non-judgmental about the people involved, on both sides, he is able to come to a more reasoned conclusion than those of us who are emotionally invested in one outcome or the other. He points out that we must come to grips with the fact that we all need and use a LOT of copper. That fact is undeniable. It is also undeniable that copper mining results is a massive quantity of hazardous waste material to deal with ALWAYS. 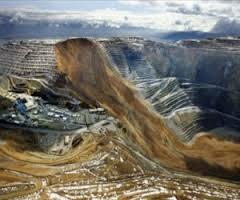 It is also undeniable that mining companies have NEVER properly dealt with the hazardous waste of copper mining. The logical conclusion is that copper mining should NOT be done in certain places. It is my personal view that, along with Bristol Bay, Alaska, the Arrowhead Region of Northeastern Minnesota — including the Rainy River Watershed, the Lake Superior Watershed and the Boundary Waters Canoe Area Wilderness — is one of those NO COPPER MINING places.